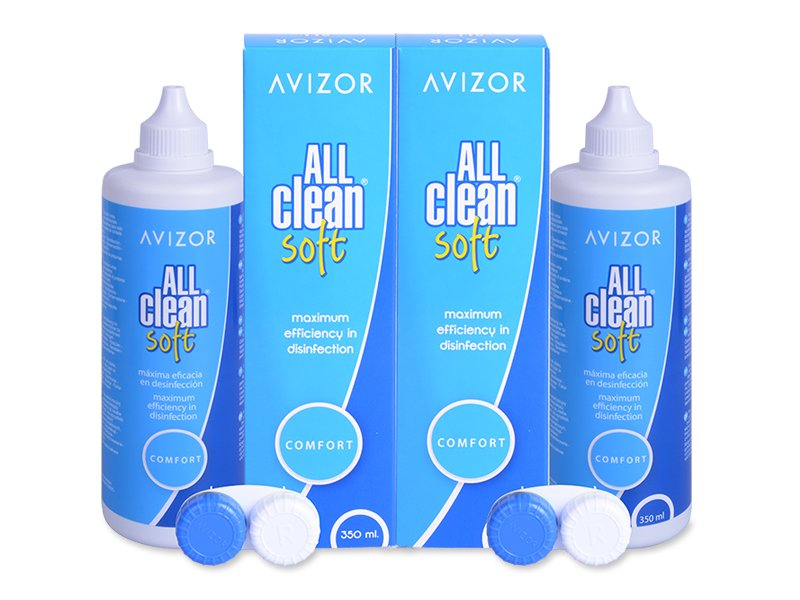 Avizor All Clean Soft solution is now available in a convenient double pack for the best cleaning power for your lenses. Avizor All Clean Soft solution is available now in a convenient and cost-effective double pack. This package contains two 350 ml bottles and two antibacterial lens cases. The composition of the solution is gentle on eyes while effectively removing dirt and deposits that accumulate while wearing contact lenses. Avizor’s formula is also enriched with a moisturising component that provides exceptional comfort of wear. The manufacturer recommends discarding any remainin solution 90 days after opening. To clean lenses sufficiently in between uses, keep the lenses submerged in solution for at least 4 hours . 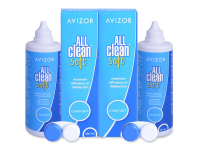 We also offer Avizor All Clean Soft solution in a single bottle and a family-sized triple pack for extra value.